Here’s the most requested review of 2012 thus far: my in-depth review of the Canon EOS 5D Mark III professional full-frame digital SLR. The camera is a full-frame digital SLR with a 22 megapixel CMOS image sensor, full manual controls, dual memory card slots, extremely capable Full HD movie mode and new 61 point autofocus system trickled down from the flagship Canon EOS 1D X camera. Read more about the EOS 5D Mark III after the jump. Head on to the Canon EOS 5D Mark III photo gallery to view the huge range of sample pictures and RAW images taken using the camera. Also be sure to check out our separate review of the 2012 Canon EOS menu and user interface to learn more about the new menu system and various menu options and items on the EOS 5D Mark III. 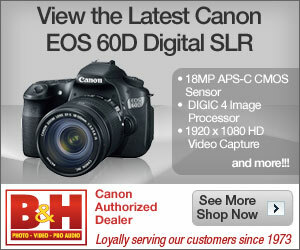 The Canon EOS 5D Mark III is the latest full-frame digital SLR camera from Canon. The Canon EOS 5D Mark III has a new 22.3 megapixel full-frame sensor, full manual controls, new 61 point focusing system with plenty of options to configure autofocus behavior, 3.2 inch LCD, new image rating function and improved Full HD movie mode with options for ALL-I and IPB compression. When talking about cameras and technology in general, things move very fast and you’ll be hard pressed keeping up with ‘the latest’ tech. Four years in today’s tech world feels a lot like four decades, and that’s exactly how we’d describe the Canon EOS 5D Mark III versus its 2008 predecessor, the EOS 5D Mark II – The Mark III is a completely new camera with brand new everything. There’s no question if you’re a 5D Mark 2 owner, the immediate answer if you should upgrade to the EOS 5D Mark III is a big affirmative ‘YES’. Here’s your chance to find out more about the Canon EOS 5D Mark III in our in-depth review of the camera. As with other digital SLR models, the Canon EOS 5D Mark III doesn’t come with any memory cards. The presence of dual memory card slots on the camera means that you can either use Compact Flash (just the modern slim Type 1 cards, the camera no longer takes Type 2/Microdrive cards from a decade ago) and SDHC/SDXC memory cards on the 5D Mark III. The camera greatly benefits from high-speed memory cards, and on the EOS 5D Mark III, getting the fastest card possible is almost a requirement. There’s a noticeable performance advantage with them, especially in continuous shooting and recording movies at the highest possible settings. The EOS 5D Mark III supports ultra-fast UDMA Compact Flash cards. I would recommend a 16 GB memory card at the very least; better yet get a bigger card and in both formats – if you can spend money buying a $3500, 22 megapixel camera like the EOS 5D Mark III, purchasing at 32 or 64 GB cards shouldn’t be out of the question since the camera chews through memory like a crazed beast. JPEG files can take up anywhere from 5 to 11 MB each, RAW files hover in the 45 to 50 MB range and every minute of Full HD video at the highest settings consumes an average of 700 MB. The Canon EOS 5D Mark III uses the same LP-E6 ‘smart’ lithium-ion battery as the EOS 7D and old EOS 5D Mark 2. The camera can show remaining battery juice down to the percentage, keep track of photos taken on the battery’s current charge and battery recharge performance; it can also log batteries by serial number and keep track of performance numbers for each battery. At normal temperatures, the Canon EOS 5D Mark III has a battery life rating of 950 shots per battery charge using the viewfinder or up to 200 shots using live view; though seasoned digital SLR users will know that such numbers are typically understated since you can sometimes take thousands of pictures on a single battery charge (depends on type of photography of course). At freezing temperatures (ie if you decide to take the EOS 5D Mark III on your next trip to Alaska or Antarctica), battery life is rated to 10% lower than the figures above. An optional Canon BG-E11 battery grip is available for the EOS 5D Mark III which holds either two LP-E6 batteries or 6 AA batteries (AA batteries are inserted via an adapter tray); this will effectively double the battery life you get with the camera. The Canon EOS 5D Mark III is extremely well built, just as you would expect from a high-end digital SLR. The camera has a durable magnesium alloy frame that feels sturdy in hand and coated with a grippy rubber texture at every place where your hands would hold the camera. The EOS 5D Mark III is weathersealed, meaning its buttons, dials and doors are all designed to enable the camera to survive the elements (you cannot dunk the camera underwater though). Shutter life on the 5D Mark III is rated to 150,000 actuations. Ergonomics on the Canon EOS 5D Mark III are pretty much top notch; the camera shares a lot of design elements and similar controls as the EOS 7D with improved controls for playback zoom, new image rating button, invisible touch sensitive ring on the Quick Control dial, gateway menu to Picture Style, multi exposure and HDR options as well as a better placed DoF preview button. The changes compared to the EOS 5D Mark II are even more dramatic with a new movie/live view combo switch (like the one found on the EOS 7D), separated power on/off and dial lock switches, mode dial lock button and new 100% coverage viewfinder with superimposed LCD elements for AF points, gridlines and a new customizable warning icon. The EOS 5D Mark III’s grip feels more substantial and ergonomic versus the old 5D, and even moreso compared to the EOS 7D. If you’re a beginner or rich point-and-shoot hobbyist reading this review, you’ll have to know that Canon won’t dare to offer their high-end digital SLR cameras in any color other than black. Yup, that means no baby blue or pink 5D Mark III for those used to color choices on compact cameras and smartphone covers! On the front of the Canon EOS 5D Mark III is that standard Canon EF lens mount. The Canon EOS 5D Mark III takes EF lenses, and EF lenses only; because it’s a full-frame camera, it won’t take EF-S lenses which are designed for EOS cameras with smaller image sensors (such as the EOS 60D, 7D and Rebel series cameras). And being a full-frame camera, you can see how much bigger the mirror is on the 5D Mark III compared to other cameras. Behind that mirror is a new image sensor with 22.3 effective megapixels. The full-frame sensor is new and provides a slight increase in resolution compared to the old model. The new image sensor also allows the Canon EOS 5D Mark III to go up to a native maximum ISO of 25,600. The good thing about a full-frame camera is that it takes lenses without the need for a crop multiplier: that EF 24 – 105 mm lens is going to be equivalent to 24 – 205 mm; non-full frame cameras like the EOS Rebel series have a 1.6X crop factor which would make that same lens equivalent to 38 – 168 mm. The Canon EOS 5D Mark III is rather taxing on lenses though, so high-end lenses are recommended if you want the best image quality from the camera. Right next to the lens mount is the button to dismount the lens; of course, if you’re looking at a professional camera like the EOS 5D Mark III, you probably already knew what the button does (I hope). To the opposite side near the grip are the self-timer countdown lamp and depth-of-field preview button in its new position. I like the button placement here since it’s a lot easier to access and press without shifting your hands around. On the grip of the camera is an infrared receiver window used for remote control support. There’s no built-in flash on the Canon EOS 5D Mark III since the camera needs plenty of room up behind the Canon logo for that big 100% optical viewfinder. However, it’s noteworthy that Nikon’s full-frame camera, the D800, which is positioned against the 5D Mark III has a built-in flash. The 5D Mark III also lacks a built-in autofocus assist light (the Nikon D800 has one) so you’ll have to rely on the focus assist light on an external flash. On the back of the Canon EOS 5D Mark III is the new 3.2 inch LCD. This new display is slightly bigger than the 3 inch LCD found on the old 5D Mark II; it also has a slightly wider aspect ratio of 3:2 so photos and live view now fill the screen perfectly while there’s less letterboxing when framing movies. It is high in resolution with 1,020,000 dots and visibility is very good. The screen is slightly brighter and more color accurate than the LCDs found on the EOS 7D and 5D Mark 2. Right under the LCD, to the bottom left of the Canon logo, you can spot the light sensor and speaker holes of the 5D Mark III. The light sensor is used to automatically adjust LCD brightness when ‘auto brightness’ is used. Above the LCD is the optical viewfinder of the 5D Mark III. The viewfinder now covers 100% of the frame (compared to 98% on the 5D Mark II) so what you see is what you’ll get for photos. Magnification is still 0.71X though, so the 5D Mark III doesn’t have a significant advantage in viewfinder size versus its predecessor. As expected, there’s dioptric correction for the viewfinder for glasses wearers. Just like the Canon 5D Mark II and 7D (and unlike the EOS 1D X), you can manually cover the viewfinder by removing the eyepiece and using the cover on the neck strap; there is no built-in viewfinder shutter here. The Canon EOS 5D Mark III has a new 61 point autofocus system (with 41 cross type AF points, out of which 5 have dual cross sensors) which it shares with the flagship Canon EOS 1D X camera. The camera allows you to choose selectable AF area and how AF points get selected. You can choose between using all 61 points, only the 41 cross-type AF points, 15 or 9 points on the camera. There are also options for how AF points get selected; choose from spot AF, single point, expand 4 directions, surround 8 directions, zone (camera auto selects from a cluster of AF points) and all (camera auto selects from all AF points). Towards the right side of the camera are several controls. Right next to the viewfinder is a combo movie/live view switch with a button in the middle for enabling live view or starting/stopping movies, depending on switch position. Also within reach of your right thumb are Canon’s classic 3 upper-right buttons for AF-On (focusing with metering), AE lock and focus point selection; all 3 buttons are customizable just like on the 1D series and 7D. The live view screen on the Canon EOS 5D Mark III is similar to the displays on Canon’s other EOS cameras. Information has been rearranged slightly and some screen views look slightly more busy thanks to the increase in info shown to you. The EOS 5D Mark III also has a built-in digital level which helps you take straight photos, just like the system found on the EOS 7D. The difference is that the EOS 5D Mark III’s digital level display animation is a lot smoother, making the camera feel even more responsive than ever. Further down, you’ll find a 9-way joystick (which is typically used for selecting a focus point or browsing menus), Quick menu button and a Quick Control dial scroll wheel with a SET button in the middle. The Quick Control wheel now has plushier and quieter clicks. The middle gutter of the dial, the immediate area around the SET button, is now touch sensitive (think iPod classic click wheel) which allows you to silently adjust audio levels while recording movies. There is a ‘lock’ switch below the Quick Control dial, and this time it does more than lock the QCD. Using the option within the menu, the EOS 5D Mark III can let you configure whether the lock switch disables the QCD, joystick and/or jog dial (located behind the shutter button). You can customize the lock switch to disable one, two or all of the three controls. On the left side of the LCD are more buttons. To the upper left corner are the Menu and Info buttons, both pretty self-explanatory. The Info button typically toggles the amount of information shown on the LCD and, now on the EOS 5D Mark III, can also bring up help tooltips and guides/descriptions for menu options in case you’re new to a feature on the camera (and don’t want to drag that thick user’s manual around with you). The EOS 5D Mark III has a redesigned menu system and you can find out more about the menu in the separate Canon EOS 5D Mark III In-depth Menu and Configuration Review we wrote. At the top of the EOS 5D Mark III are a few more things; this is where the camera looks nearly identical to the EOS 7D and old EOS 5D Mark II in terms of button and control layout. The EOS 5D Mark III had a mode dial with just your typical Program, Aperture/shutter priority and manual modes, along with a dedicated spot for Bulb mode. Aperture range depends on the lens used on the camera while shutter speed range is 1/8000 to 30 seconds. The EOS 5D Mark III also has 3 Custom mode spots for saving sets of modes and settings to. The only ‘automatic’ mode is the Auto+ mode on the camera which is the most basic shooting mode and is useful when you’re handing the camera over to someone who doesn’t know how to use it. The EOS 5D Mark III has the same mode dial locking mechanism first found on the EOS 60D and available as an option on the 7D; you’ll need to press the button in the middle to move the mode dial to prevent accidental changes. The EOS 5D Mark III has a standard Canon flash hotshoe mount where you can attach flashes and wireless transmitters to the camera. The 5D Mark III does not have a built-in flash so if you’d like to use a flash, you will most definitely have to buy an external one. The camera has a maximum flash sync speed of 1/200 second, though high-speed sync is available. Towards the grip area are the jog dial, shutter button and M Fn button. New to the Canon EOS 5D Mark III are dual memory card slots, a first for an EOS camera outside of Canon’s expensive 1D line. The EOS 5D Mark III has 1 Compact Flash card slot and 1 SDHC/SDXC card slot, making it easier for both 5D Mark II and 7D users to transition over, as well as EOS Rebel/entry-level EOS owners to step up to a more advanced camera. The EOS 5D Mark III only takes those ‘slim’ Compact Flash cards. If you’ve recently gotten a memory card in the last 3 to 5 years, then chances are you won’t need to worry. This is only a concern for folks who still use ancient MicroDrive and Type 2 CF cards from a decade ago, which are essentially obsolete formats now. The memory compartment door is very sturdy and is lined with a fuzzy black material you can see which is part of weathersealing to keep the elements out. The EOS 5D Mark III has a pair of rubber covers on the other side which protect a row of 3 ports each. On the left, there’s ports for an external microphone, flash sync port and cabled remote control; on the right are ports for headphones, A/V out + USB and HDMI. At the bottom of the Canon EOS 5D Mark III are its metal tripod mount and battery compartment. The 5D Mark III uses the same LP-E6 lithium-ion battery as the 7D and the compartment door is removable to make way for the optional battery grip insert. The Canon EOS 5D Mark III has the most advanced movie mode on a Canon EOS digital SLR camera to date, save for the recently launched cinema-series EOS 1D C which costs 5 times the price of the 5D Mark III. The camera can record Full HD movies with mono sound with your choice of higher quality (low compression) intraframe ALL-I or smaller file size (high compression) interframe IPB. While the visual difference between the two is not obvious in most situations, the file size is. ALL-I video takes about 3X the space of IPB videos of the same length. An 8 GB memory card will hold about 12 minutes of ALL-I video at Full HD (about 700 MB per minute) or 32 minutes of IPB video (about 240 MB per minute). Either way, you would need a large and fast memory card for videos which chew up 4 MB per second with high compression or a whopping 11 MB per second with low compression. The EOS 5D Mark III has a limit of 30 minutes per continuous video session. For the sake of file format and size compatibility with different systems and storage drives, the camera automatically splits movies up into 4 GB parts until the 30 minute limit is reached. Like Canon’s other cameras, the EOS 5D Mark III gives you a bunch of resolution and frame rate choices for movies. I’ve also listed how much space each minute of video consumes at different resolution settings; you can select compression type as mentioned above for 720p and 1080p video, but compression at VGA size is fixed. There are a couple of settings you can change on the EOS 5D Mark III in regards to movies. First off, the EOS 5D Mark III has expanded audio options. You can easily step up from mono sound using the camera’s built-in microphone to stereo sound using an external microphone which is plugged in via the port on the side of the camera. The camera also allows you to select between automatic or manual adjustment of audio recording levels; there’s also an optional wind filter function available. The new headphone jack on the side of the EOS 5D Mark III allows you to attach a pair of headphones to monitor sound as movies are being recorded. You can choose to adjust exposure settings manually while movies are being recorded. You can adjust exposure compensation plus shutter speed or aperture while recording in most modes. With the mode dial placed in Manual mode, you can set aperture and shutter speed manually at the same time. The Canon EOS 5D Mark III has a new Silent Control mode which allows you to adjust audio levels manually while recording via the touch-sensitive part on its Quick Control Dial; this function is disabled by default and you’ll have to dive into this part of the menu to enable it. The Canon 5D Mark III also has options for embedding time code into movies. Choose between Rec Run or Free Run timecodes which are SMPTE compliant. The addition of new options for audio and timecodes on the EOS 5D Mark III will surely delight folks looking to get the camera for filmmaking purposes. In regards to movie output, the EOS 5D Mark III produces higher quality movies than the EOS 5D Mark II, with the added bonus of higher top ISO speed (ISO 25600) for low-light filming. The camera’s new sensor and DIGIC 5+ processor are both optimized to reduce color artifacts and moire, though a slight ‘rolling shutter’ effect is still seen in scenes with a lot of camera movement. Performance testing of the Canon EOS 5D Mark III was done using a high-speed 45 MB/s Sandisk Extreme Pro CF card. Needless to say for a camera that costs a tenth of a brand new BMW 3 series, the Canon EOS 5D Mark III delivers remarkable performance. The EOS 5D Mark III’s performance is outstanding and the camera can shoot as quickly as you can press the shutter button. The camera writes JPEG and RAW images to either or both memory cards at a very quick pace, and as long as you have high-speed cards installed, you’ll almost never have to wait for the camera to be ‘busy’ or notice it flushing its buffer to the cards. Autofocus is very quick and precise thanks to its 61 point autofocus system (with 41 cross type AF points, out of which 5 have dual cross sensors) shared with Canon’s flagship EOS 1D X and EOS 1D C cameras. Autofocus can vary depending on lens but with a nice L-series Canon lens like the EF 24-70 mm f2.8, things are as quick and smooth as it can get. The camera does bump into some trouble in very low-light where the EOS 5D Mark III can fail to lock focus, or if you’re lucky, just hesitate for quite a while before finally locking focus. That’s not too surprising since the camera lacks any sort of built-in autofocus assist system, We will give some credit to the 5D Mark III as it takes some really poorly lit situations for this to happen (we managed to lock focus in a sports stadium that was closing with just ambient light from several street lights nearby, but we couldn’t get the camera to lock focus in the opposite side of a dark room lit by a small computer screen at the other end). Bottom line: If you plan on doing a lot of low-light shooting, we would suggest bringing along an external flash which has an autofocus assist beam/light. Though it is a touch faster than existing EOS models, the EOS 5D Mark III is still sluggish in live view focusing. The camera takes anywhere between 0.5 to 1.3 seconds to focus, depending on lighting conditions and the wait is definitely noticeable. In movie mode, this is noticeable and the camera may take a while to focus back and forth before finally nailing focus. The EOS 5D Mark III has two continuous shooting modes that can shoot at full resolution; you can choose between high (6 FPS) or low (3 FPS) speed. Those speed ratings sound about right based on my testing. With a high-speed UDMA Compact Flash card, the camera can shoot JPEG photos at 6 FPS until the memory card fills up (which is quite amazing) or up to 25 RAW images or 8 RAW+JPEG images. With regular high-speed CF cards or SDHC/SDXC cards, the cards are become the limitation to the camera and the EOS 5D Mark III can capture up to 70 JPEG photos, 15 RAW images or just 7 RAW+JPEG shots in a row before asking for a quick break to write photos to the memory card(s). You can extend the number of photos you can take in a row by using a UDMA CF card as suggested or switching to low speed continuous shooting. The Canon EOS 5D Mark III has a ‘silent continuous shooting’ mode which shoots at 3 FPS with a muffled mirror sound for discrete picture taking. If you’ve seen our comparison of the Canon EOS 5D Mark III vs EOS 7D, you would have gotten a glimpse of the excellent image quality characteristics of the EOS 5D Mark III. The camera has a native ISO range of ISO 100 to ISO 25600, and that’s expandable to ISO 50 to ISO 102400. The Canon EOS 5D Mark III produces smooth and very detailed photos with no visible noise from ISO 50 all the way up to ISO 800. Photos are still clean at ISO 1600 and ISO 3200, retaining plenty of detail with still very low noise levels. Not surprisingly for a full-frame camera which employs the latest sensor and Canon image processor, photos are still very usable and detailed at ISO 6400 on the EOS 5D Mark III. The top 2 ISO settings of 51,200 and 102,400 are both extremely noisy and lack details, but they do make good choices if you plan to give photos a ‘film grain’ look or if you plan to downsize photos for tiny 4×6 prints (though noise will still be visible). Noise and artifacts are coarse at these two settings and there’s some banding visible in photos. The camera’s performance depends very much on the lens being used. With the Canon EF 24-70 mm f2.8L lens, quality is above most regular lenses with good overall sharpness and edge sharpness. The lens also demonstrates slight distortion and color fringing in high contrast situations. Like Canon’s other EOS cameras, the EOS 5D Mark III is able to store profiles of various lenses for automatic vignetting and distortion reduction. Overall, the Canon EOS 5D Mark III produces top-notch image quality that’s class leading and ISO which is a full one stop better than previous generation models like the EOS 7D and EOS 5D Mark II. The EOS 5D Mark III also produces a slight resolution increase over its predecessor and has better processing characteristics that make even noisy photos more desirable looking than results by older EOS cameras. Visit the Canon EOS 5D Mark III photo gallery to see full-sized photos (including RAW images) from the camera. The Canon EOS 5D Mark III has a good playback mode for a digital SLR camera, though it isn’t as fancy as some entry-level Nikon SLR cameras which have editing tools and photo effects. The camera includes image protection, rotation, print marking, transfer between the 5D’s two memory cards, resize and slideshow function. The camera now allows RAW image processing directly in playback where you can convert RAW images into JPEG photos right in the camera, though options are definitely more limited than if you were to do processing on your computer. The EOS 5D Mark III has a new image rating function, where you can give photos 1 to 5 stars using the RATE button next to the LCD. I’ve found the image rating function to actually be one of the most handy new features on the EOS 5D Mark III (behind dual memory card slots and AI Servo/subject tracking modes in the AF menu) because it actually allows you to mark keeper shots with a high number of stars as well as potential bad shots with just one star. The EOS 5D Mark III also has options for toggling highlight alert, AF point display, playback grid, histogram type, movie playback time indicator, default magnification when pressing the ZOOM button and control over HDMI. Zooming into photos and panning around is significantly smoother and more responsive on the EOS 5D Mark III than any other EOS digital SLR we’ve used so far. As you’d expect for a $3500 digital SLR, the EOS 5D Mark III tells you everything you need to know about photos including exposure data, file size, Picture Style, other camera settings and which memory card(s) the pictures were written to. The camera comes complete with brightness and RGB histograms. The Canon EOS 5D Mark III can now playback photos in ‘full screen’ thanks to its new 3:2 aspect ratio LCD which accommodates its pictures perfectly (screens have a 4:3 ratio on the EOS 5D Mark II and EOS 7D). There’s also a new side-by-side photo playback mode toggled using the dedicated button which allows you to playback and compare two photos simultaneously. You can even zoom into photos while comparing them – very handy indeed! The Canon EOS 5D Mark III is the ultimate digital SLR for under $4000 right now and offers a great balance between resolution, physical size, ISO sensitivity for low light shooting, movie capability and price. Alongside its rival from Nikon which outputs sheer resolution for a lower top ISO speeds, the EOS 5D Mark III is good for those wanting the best still/movie camera you can get without being physically huge and heavy in size and hitting five digit price figures. The camera offers 22 megapixels which is plenty to satisfy most folks. The image sensor outputs very detailed photos with very low noise; compared to other models like the old 5D and the EOS 7D, this camera has a full 1 stop advantage in ISO/noise level. The Canon EOS 5D Mark III is loaded with menu options and settings you can change to adjust image quality output, camera controls, autofocus behavior and settings and movie settings. The Canon EOS 5D Mark III is highly capable as both a studio camera and also for sports. The camera has a big and bright 3.2 LCD which offers better visibility under bright light compared to other EOS cameras and a 61 point AF system shared with Canon’s top end 1D X camera. The EOS 5D Mark III offers really good performance which is much faster than its predecessor; paired with dual memory card slots, you can take a lot of photos with the EOS 5D Mark III along with EOS 1D style setup of image writing to memory cards. The camera can shoot at a maximum 6 FPS and is very responsive in all respects. Memory card speeds are a bottleneck to the camera and getting the fastest memory cards is crucial if you want the best performance from the EOS 5D Mark III. As expected from a professional digital SLR, the Canon EOS 5D Mark III offers full manual controls, RAW image shooting and plenty of customizability and configuration of image shooting settings and things related to camera operation. The Canon EOS 5D Mark III even has a menu section dedicated to autofocus settings along with 6 AI Servo profiles for tracking almost any sort of moving subject. The camera has the ability to shoot silently, in both viewfinder and live view modes. The camera isn’t perfect though. The EOS 5D Mark III requires good quality lenses to perform at its peak in terms of image quality. The camera also lacks a built-in flash and autofocus assist solution, making you have to get an external flash if you’d like some additional lighting in low-light and/or focus assist solution for poorly lit conditions. The EOS 5D Mark III, like other digital SLR cameras, performs sluggishly when focusing in live view mode and as a result, cannot focus continuously while recording movies. The Canon EOS 5D Mark III also has a great movie mode, which is necessary to succeed its predecessor as a high-profile filmmaker’s movie tool. The EOS 5D Mark III provides the ability to adjust exposure, sound levels, compression, timecode and provides both headphone and microphone jacks as additional emphasis of audio. If you don’t mind spending lots of money for a great camera and some high quality lenses to go with it, the Canon EOS 5D Mark III is the definite choice and we would highly recommend it. The Canon EOS 5D Mark III provides excellent image quality and is also adept at producing movies of high quality. Of course, you’re likely to need some photography to be able to handle the EOS 5D Mark III since it would be a waste to use it exclusively in automatic mode.